When you’ve had a stressful day, you can really feel it in your neck and shoulders. Those knotted muscles can lead to soreness, joint pain, and even trigger a migraine if it is left unintended. 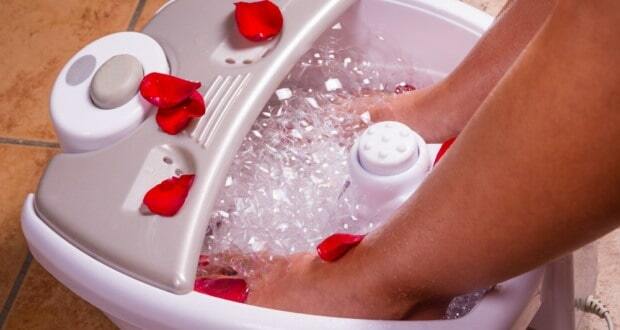 The first step is to grab a great handheld back massager that will begin to work out the tension in your muscles. Then you’ll want to follow these steps to give yourself a relaxing neck and shoulder massage. 1. Begin by massaging your face. You can massage your temples at any time. Use either the palms of your hands or your massage equipment and lightly press your temples just underneath the hairline. Move in counter-clockwise circles, placing more pressure when moving upward than downward. After 5 rotations, hold the upward pressure for a few seconds before releasing. 2. Massage the hairline near your forehead. 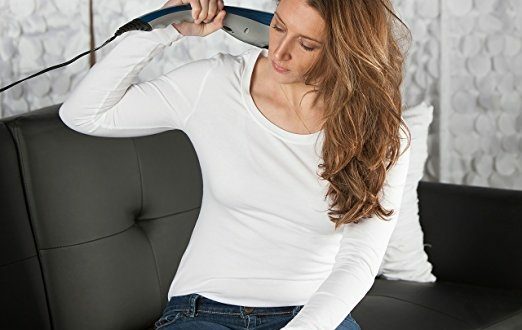 If you’ve got a headache beginning to form because of your neck and shoulder tension, then move the massager gently around your hairline. Light, little circles that dip as far down as your cheekbones can help to stop a headache from forming. If there is sinus inflammation contributing to a headache, lightly massage along your eyebrows as well. 3. Get into the right position for your massage. If you slouch while working at a computer, playing video games, or watch TV, then you are placing a lot of strain on your neck and shoulders. To relieve that strain, you’ll need to stretch the muscles into a position where they’ll be receptive to the massage. Drop your shoulders and try to relax them. Consciously push them down from your ears. Then tuck your chin into your chest to stretch your neck. You can also stretch your neck by slowly placing an ear on your shoulder. Never roll your neck if you’re experiencing strain or pain in the neck and shoulders. This could create more pain problems that may require professional care to relieve. 4. Focus on the connection of your neck and shoulders. Where your neck meets your spine is where you’ll want to focus the attention of your massage. Take your deep tissue massager, portable tool, or 2-3 fingertips and press into this spot as hard as you can without causing additional pain. Continue to hold the pressure at that spot until the muscles feel like they have relaxed. 5. Roll your shoulders forward, then backward slowly. After you feel some of the tension release, roll your shoulders forward, then backward, in slow circles for about a minute. This helps to stretch out the muscles that have released their tension and will help to prevent them from forming new knots. 6. Repeat the process as necessary. You may find your neck and shoulders begin to feel tension once again as you roll your shoulders. Go back to step #4 and repeat until you begin to feel better. 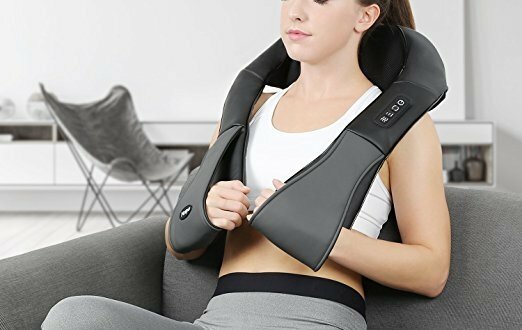 With the right equipment and techniques, you can give yourself a nice massage whenever you experience tension in your neck and shoulders. Follow these steps and hopefully you’ll start to feel better soon.